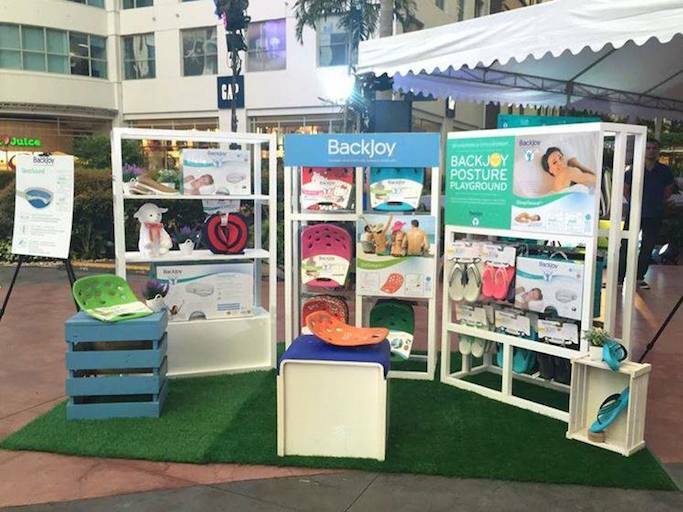 BackJoy recently had a installation at the Eastwood Mall Open Park where people, young and old, learned about posture in a more fun and challenging set-up. 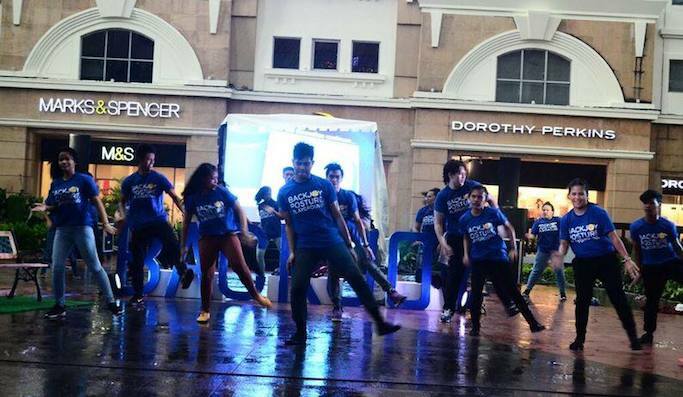 It rained that day, so schedules were postponed, but by late afternoon, all the installations were in full swing. 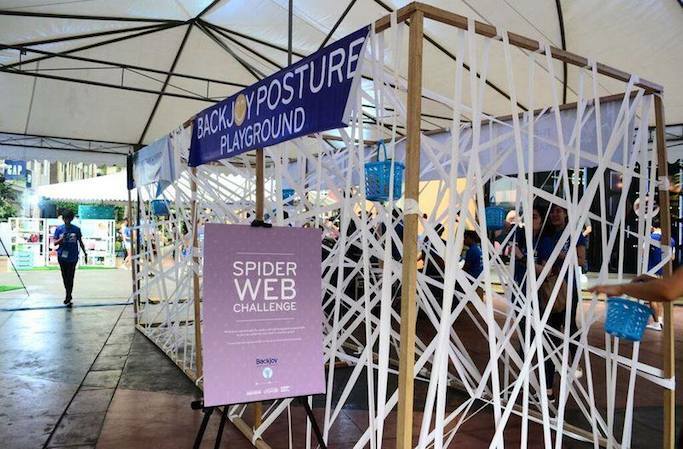 Unfortunately, I wasn't able to try the games because of other appointments, but I was lucky to have met people from BackJoy who enlightened me on their products. BackJoy's Sleep Sound line include pillows with memory foam support, making your sleep even more comfortable. Imagine having this during your long travels! BackJoy have both standard size pillows and travel pillows. More HERE. BackJoy PostureWear pulls your shoulders back and correctly aligns the spine, but still allow you to move. The fabric used has nice temperature control, and is perfect for yoga, gym, and training. More HERE. 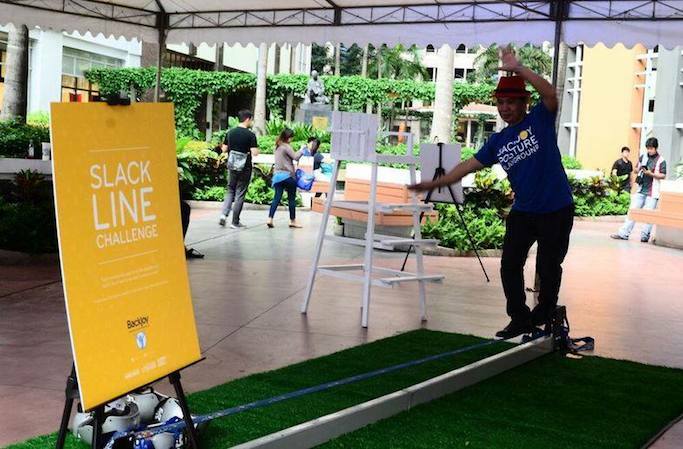 BackJoy StandRight footwear lets you stand correctly, walk correctly, and improve your posture. Available designs are sneakers, ballerina flats, and even oxfords! I use my comfortable blue slippers everyday, at home. More HERE. 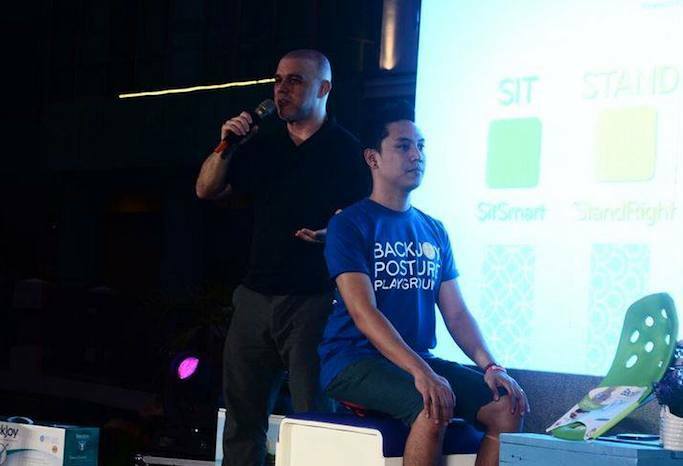 BackJoy's most popular line is their SitSmart products. Available in basic and cute designs. 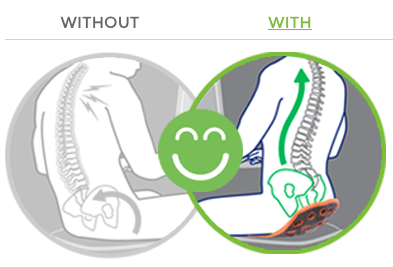 The BackJoy SitRight allows the user to improve posture and sit comfortably and properly. The innovative design tilts the pelvis upright, keeping you in consistent correct sitting position. Basically, you sit on this with the handle in front, and in between the legs. Make sure that it cups and lifts your hips by sitting on the very edge of the SitRight. The best part is, you don't have to bring your BackJoy everywhere. Sit on it everyday, whenever you're in front of your computer at work, or when you're watching an hour of TV. With this, you are TRAINING your body on how to sit properly, reacquainting your spine and hips on the position that feels natural and good for you. Good posture is the start of good health! Relieve your body from all the pressures and strains whenever you sit, stand, or just sleep. And imagine breathing properly, and finally feeling a sense of balance. 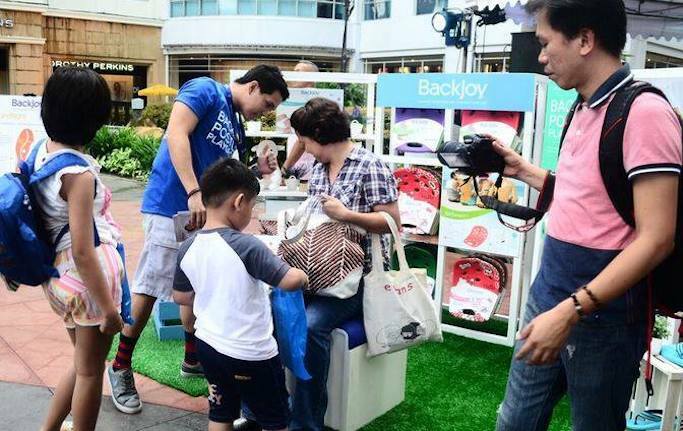 For more information, visit http://www.backjoy.com, and like BackJoy Philippines.